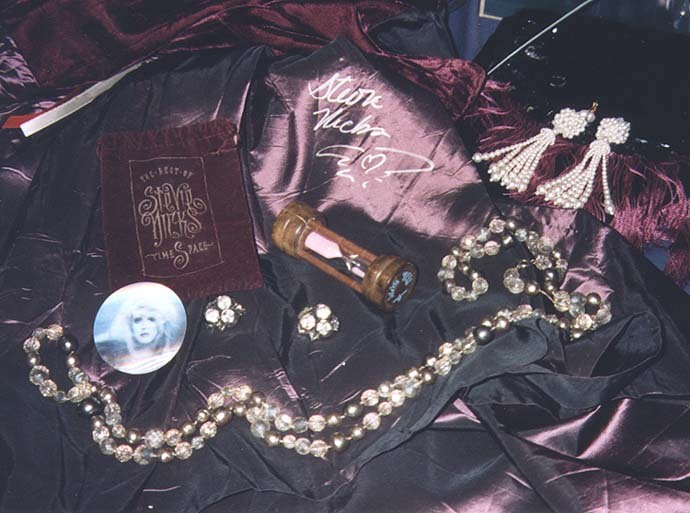 A happy twirling Stevie Nicks fan can become an seriously obssessed Stevie Nicks collector at any time. Many fans never notice the subtle changes until it's too late. So you return home in a much dreamier state of mind, hang your fringed cape on the back of your velvet chair and kick your platform-booted feet up on your coffee table (which has somehow been replaced by a battered roadcase with STEVIE NICKS stenciled on all sides). 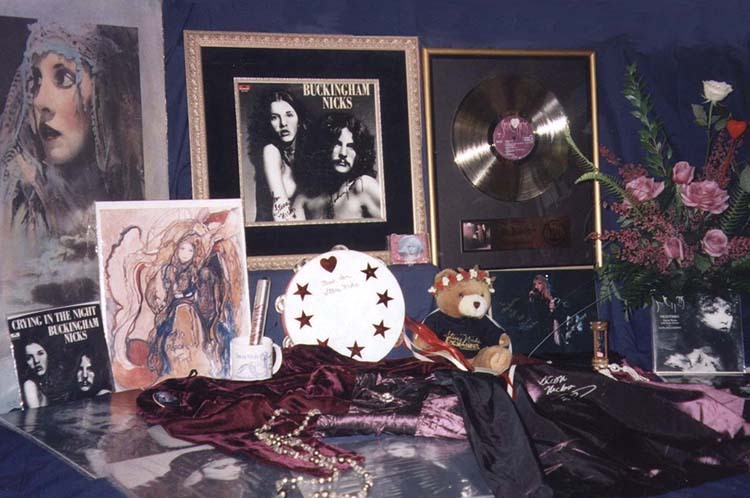 You light a few candles, turn on your custom-made blue glass lamp; stack your 50 CD changer with Stevie and sing along..
A STEVIE NICKS FREAK LIVES HERE!!! I thought you might enjoy seeing some of my favorite Stevie things here. I have posted enlargements and/or different views of some items. This is my personal collection and not for sale. I LOVE TO TRADE !!! I basically collect rare music, 7" Picture Sleeves, Backstage Passes, official Promo Items (non-music), Posters, Photographs and Books. Anything related to the Wild Heart & 1999-2000 Holiday Tours.